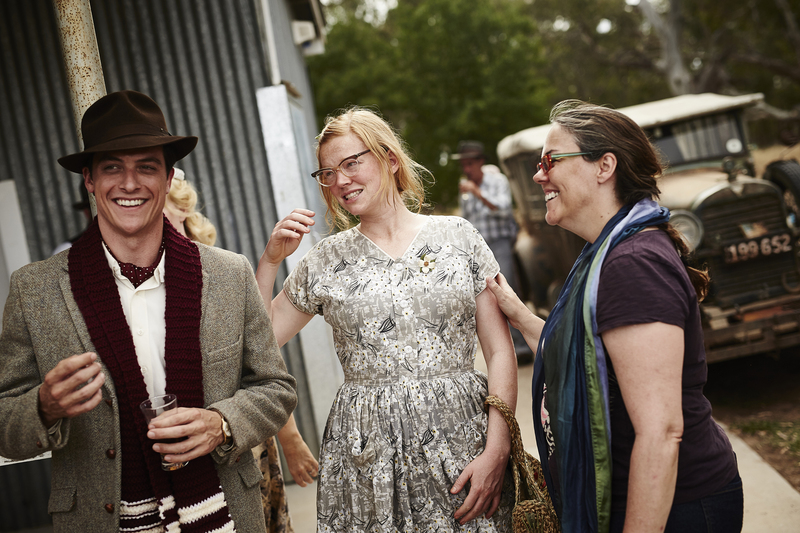 (l to r) James Mackay, Sarah Snook, and Director Jocelyn Moorhouse on the set of THE DRESSMAKER. ©Broad Green Pictures / Amazon Studios. CR: Ben King. Kate Winslet as Tilly Dunnage (left) and Judy Davis as Molly Dunnage (right) in Jocelyn Moorhouse’s THE DRESSMAKER. 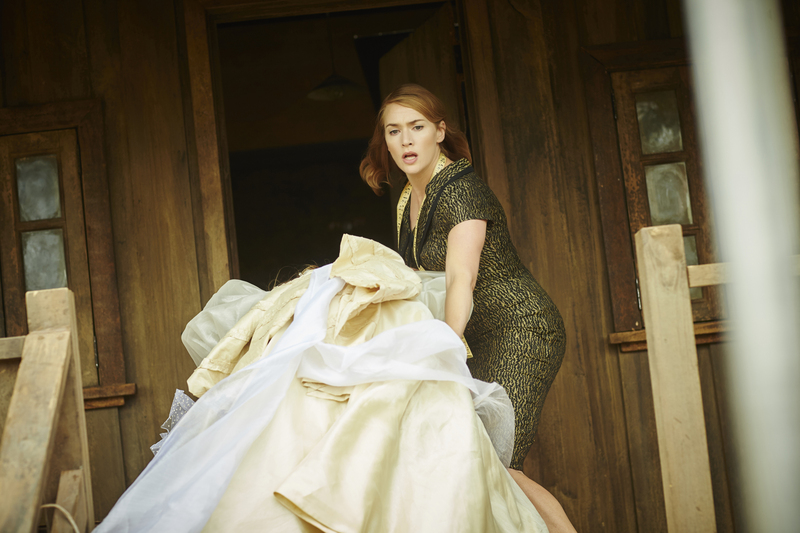 ©Broad Green Pictures/Amazon Studios. CR: Ben King. 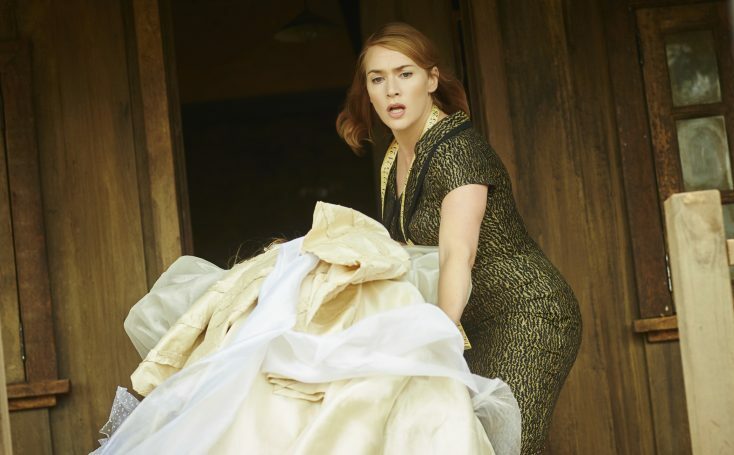 Kate Winslet as Tilly Dunnage in Jocelyn Moorhouse’s THE DRESSMAKER. ©Broad Green Pictures/Amazon Studios. CR: Ben King. 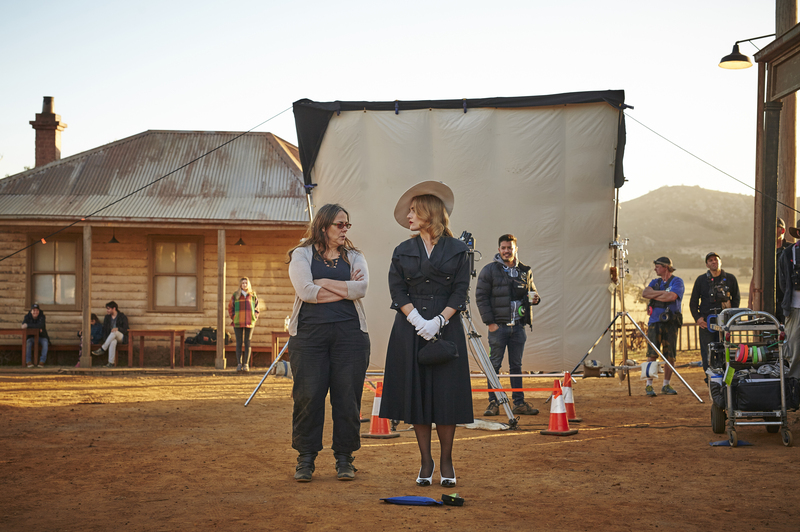 Director Jocelyn Moorhouse (left) and Kate Winslet (right) on the set of THE DRESSMAKER. ©Broad Green Pictures / Amazon Studios. CR: Ben King.